From 29 July through 2 August, the British public and visitors get to enjoy ‘The Great Eight Phantoms’ – A Rolls-Royce Exhibition, at Bonhams on New Bond Street. 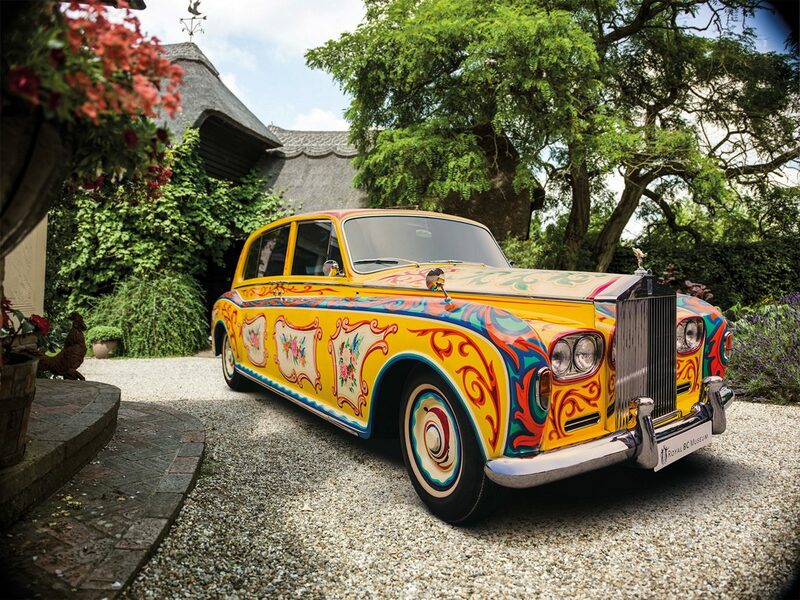 It is fair to guess, that the biggest attraction of the Great Eight Phantoms is going to be the one owned by John Lennon. 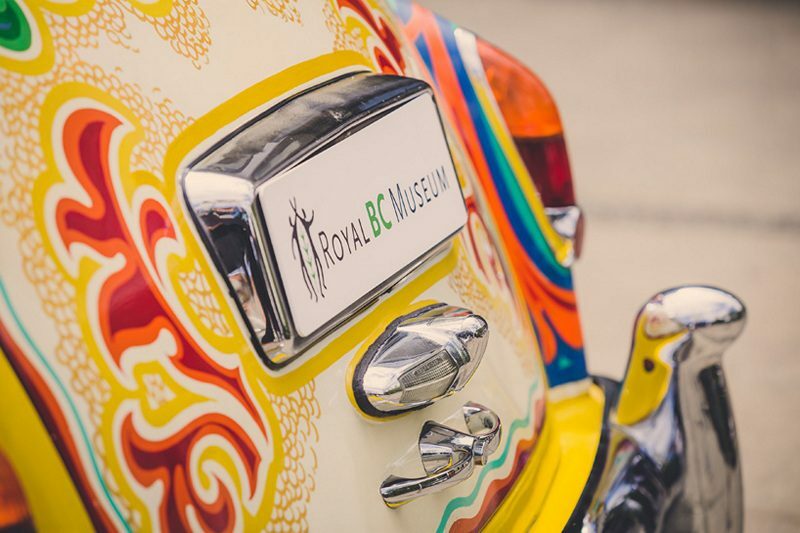 The John Lennon Phantom V, now owned by the Royal British Columbia Museum in Canada has loaned the car for the exhibition to celebrate the 50th anniversary of the release of Sgt. Pepper’s Lonely Hearts Club Band recording. 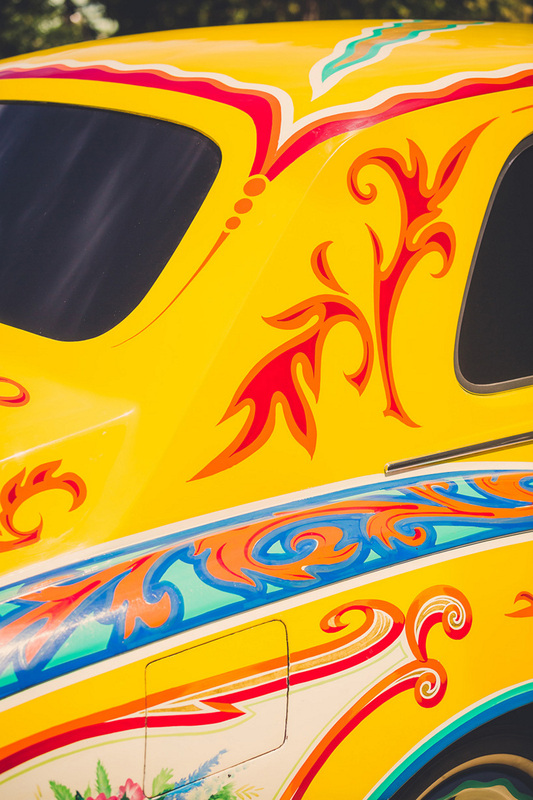 It seems after a while, Lennon lost interest in the black paint of the car, and had it painted in a “psychedelic” color scheme with lots of yellow – also the dominant color of Sgt. Pepper’s Lonely Hearts Club Band cover. For the special paint job, Lennon hired JP Fallon of Surrey Coach-builders. 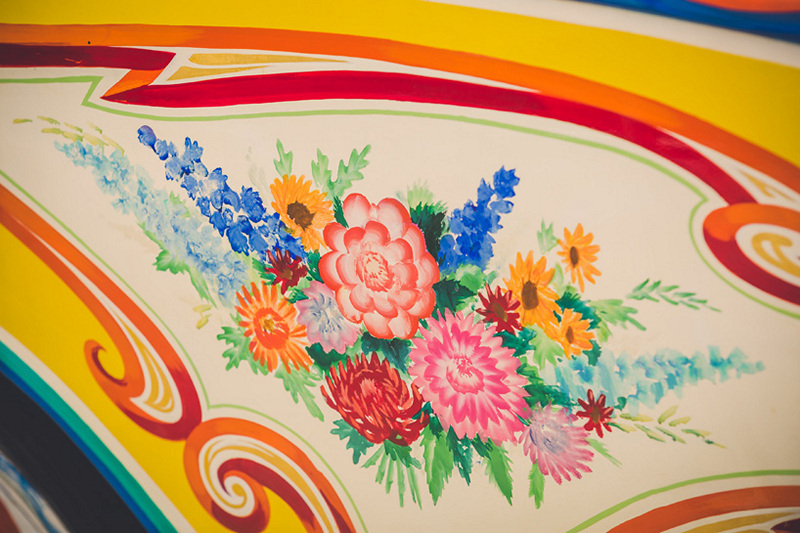 The colorful car is full of artwork borrowed from the Romani world that can be seen on gypsy caravans and canal barges. 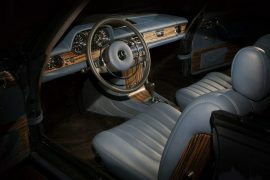 The car also received other rock-star style customization – its rear seat was converted to a double bed and had a television, telephone and a refrigerator installed – all in addition to a ‘floating’ record player and a custom sound system. A zodiac symbol on the roof completed the dramatic transformation. 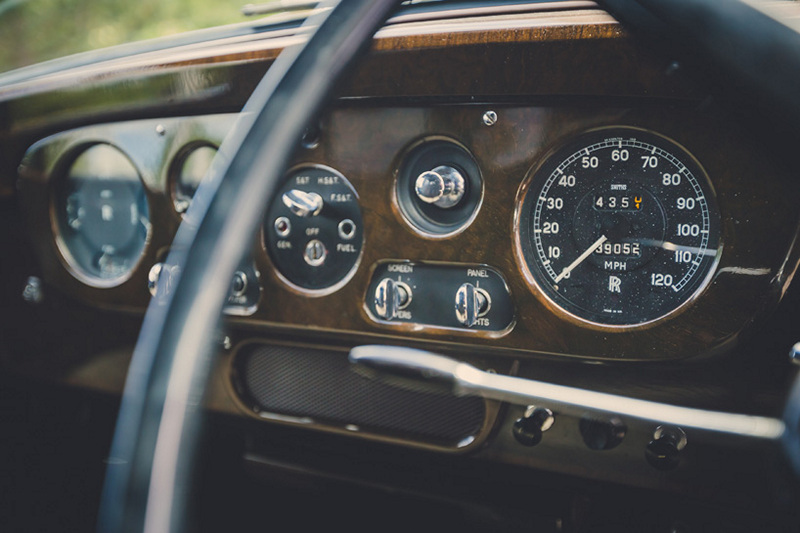 Among the famous occasions, Lennon used the car includes him riding it to collect his MBE in 1965 (before makeover) and riding again in 1969 to return the MBE in protest against Vietnam War and other issues. 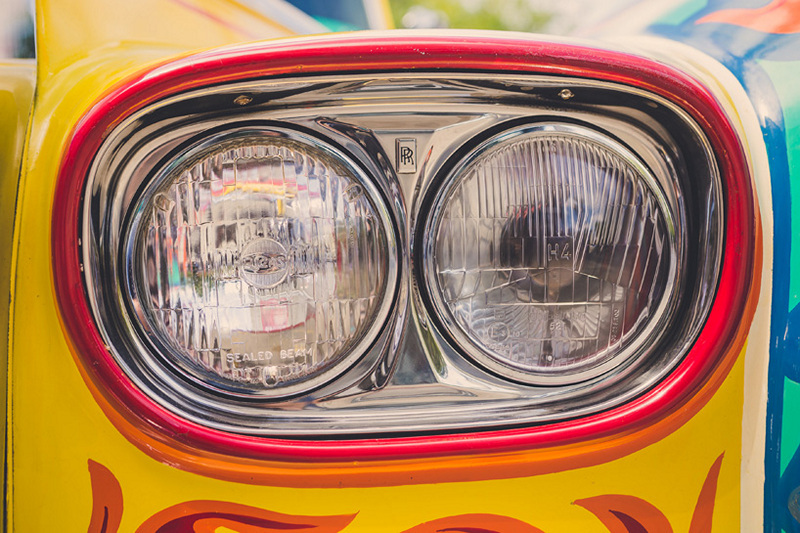 After he moved to the US along with the car in 1970, he loaned it to his rock star friends such as The Rolling Stones, Bob Dylan, and The Moody Blues. 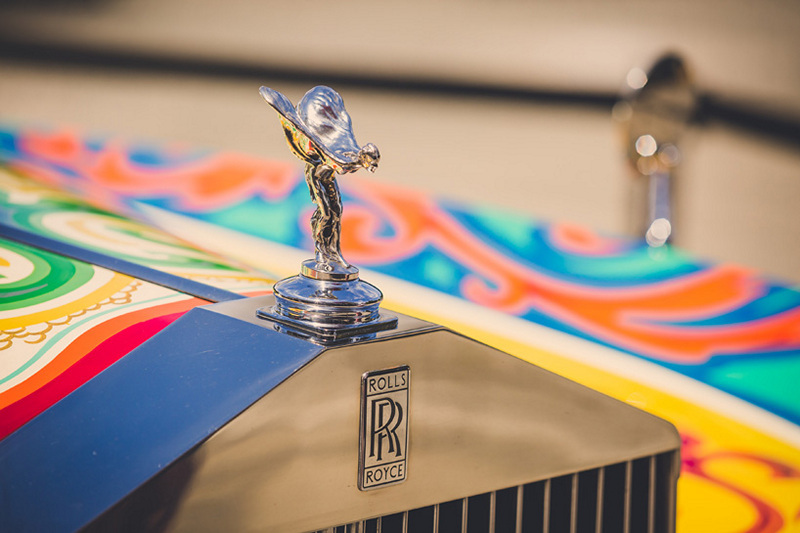 For one reason or another, it was in storage for a period in the 70s, which at the time was owned by Canadian billionaire Jim Pattison. In 1977 Pattison donated it to the Royal British Columbia Museum in Victoria, British Columbia, Canada. 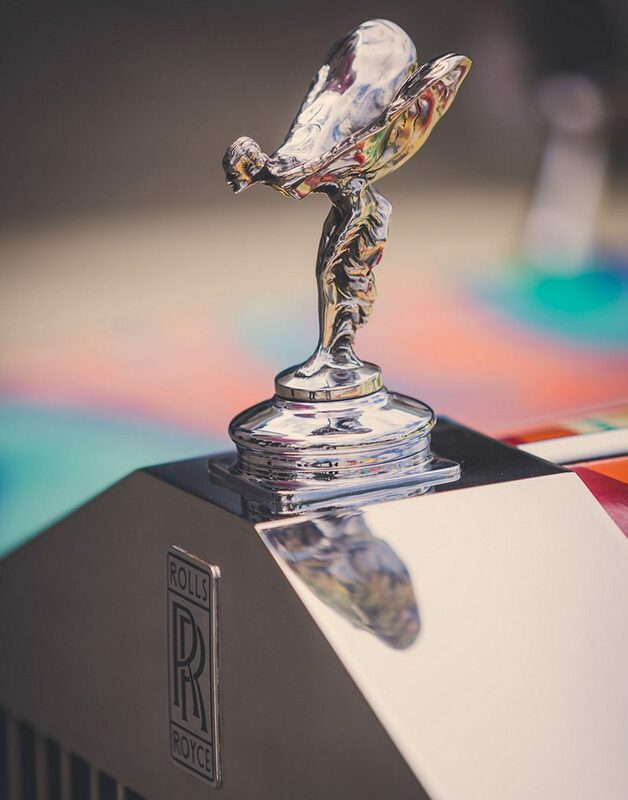 For a few days, the John Lennon Phantom V returns home to London next week for the exhibition.